Did you know that you can accumulate a sleep debt? If you don't sleep enough night after night it affects your health, mood and safety. When we are overtired we are more susceptible to catching colds or flu. Also, more accidents and especially car accidents occur with people who are sleep deprived. As much as possible try to get to bed and wake up at the same time. It's important to turn your bedroom into a sleeping oasis. Remove all electronics from the bedroom and especially electrical wires behind the bed. This creates a negative electrical energy. Declutter if necessary. I highly recommend this book below: it really is life changing to tidy up. You will feel more joy in every room you are in, in your home. Make sure the bedroom is nice and dark. If you're in the city surrounded by lights install thick curtains, or black out blinds to keep your room as dark as possible. Exercise helps in preventing insomnia, especially in the fresh air. I always sleep so well after a long bike ride or a cross country ski outing. Quiet your mind by writing down your to do list for the next day, or writing down what you;ve been thinking about, empty your brain fora good, peaceful night's sleep. Learning how to better manage your stress is key for any kind of ailment. Try a candlelight epsom salt bath for 20 minutes. You can add in a few drops of essential oils such as lavender, rose, ylang ylang or bergamot. Using deep abdominal breathing and relaxation techniques will help you calm the body and the mind. In Traditional Chinese Medicine it is believed that certain meridians or energy lines are active at certain times of the day. The gall bladder meridian is active from around 11 PM to 1 AM. This is a peak time for you to detoxify if you are asleep by 11 PM. According to Steven Horne, one of America's top herbalists, if you are not asleep when the gall bladder meridian becomes active at 11, you may get a surge of nervous energy that inhibits sleep. This will be followed by feeling sluggish the next morning, so for preventing insomnia, make sure you get to bed before 11. 8. Do you wake up at the same time every night? If you wake up at the same time every night, this can indicate an imbalance. For instance, if your liver is congested this could cause you to wake up in between 1 AM and 3 AM, the time of the liver meridian. Contact me to learn how to decongest your liver, essential for hormonal balance as well! If you wake up in the middle of the night, wide awake, it may be because of blood sugar imbalances. When your blood sugar drops too low in the middle of the night, your adrenal glands fire off the stress hormones adrenaline and cortisol to bring you blood sugar back up and you wake up, wide awake. Avoiding sugar, white flour, refined foods, caffeine and alcohol will help. Also, try eating a small protein rich snack at bedtime, some raw almond butter, a few walnuts, etc. A consultation can help you learn how to balance blood sugar and strengthen your adrenal glands. This is something that I have learned to handle, but it took me years! I used to wake up often in the middle of the night, wide awake. I tried having a snack before bed, but I found it really had to be protein and not much else. When I tried plain yogurt there is still 8 grams of sugar in the lactose. I need a little almond butter, usually on a rice cake. In the evening, stay away from stimulation and screens, T.V., computers, cel phones and loud music. Here's a 2 minute video clip about what happens to your brain if you stay in front of screens late at night. It should make you think twice before checking your phone in bed! 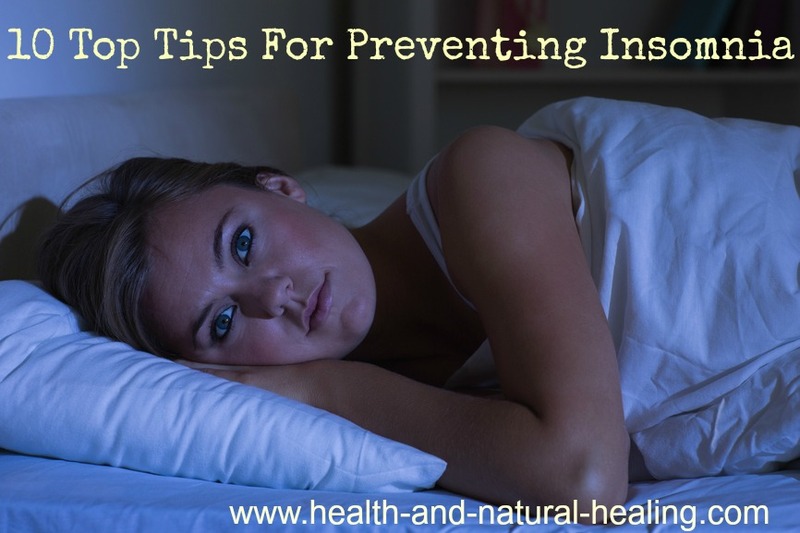 I hope these tips help you in preventing insomnia and in sleeping more soundly! Let me know if you make any changes and what happens!